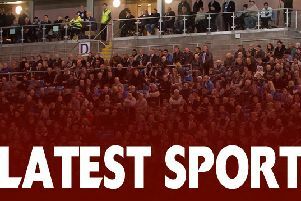 Halifax RLFC have announced additions to their board and playing staff. Their new director is Paul Haggerty, who works for local company Marshalls and joins as a Commercial Director, and prop Harry Kidd has signed from League One side University of Gloucestershire All Golds. The appointment of Haggerty, a Fax fan for more than 40 years, follows those of Stephen Bonfield as company secretary and Simon Oxby last week. He praised the grit, stubborn determination and passion shown by the players in reaching the Middle Eights play-offs, after an early-season pay cut. Kidd, 22, is an England Universities international and has spent three years at the All Golds, juggling his Sports and Exercise Science studies with his rugby career. The Leeds-born forward is Richard Marshall’s first new face for 2018. Marshall said Kidd had been on his radar for some time and was outstanding in League 1 last season and for England students at the recent Universities World Cup in Australia alongside Fax’s James Woodburn-Hall. “He is young, athletic and hungry and fits the development model at the club well. I know he is looking forward to playing alongside the likes of Simon Grix and Scott Murrell and earning the boys’ respect.